I got this at auction some time ago. I know nothing about it other than its COOL ! Check out the front wheel. The body looks to be a '13 based on the front door as well as the door latch handle above the top of the door. The front fender is a '14 due to the additional side to side rib. The windshield looks to be a '14. I Iike the boot on that front tire. Those two big boys in knee pants on the runningboard look like they're upset at having to wear those "bloomers". I'll bet their everyday wear was bib overalls. Rich...that tire caught my eye also ! A real nice photo! Thanks for sharing. Is that tape rapped around the front tire? I would say it's a lace on boot. The Good Old Days! ? An interesting car! I thought it was a '14 when I first looked at it. 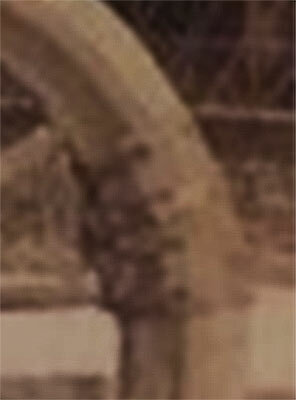 But the enhanced (brightened up) view provided by Dan T clearly shows the doors as '13 style. The reason I believed it to be a '14 is that the positioning of the windshield hinges indicates that the windshield folds back (not forward) like the '14 does. The '13 style windshield folds forward. Although the angle of the photo makes it impossible to tell for sure, the shadowing on the windshield support brackets indicate that they are '14 style also. Ford is well known for crossover times when both early and late style parts were used, sometimes in mixed combinations. The '13 touring body was changed out a bit early due to a weakness in the rear section. 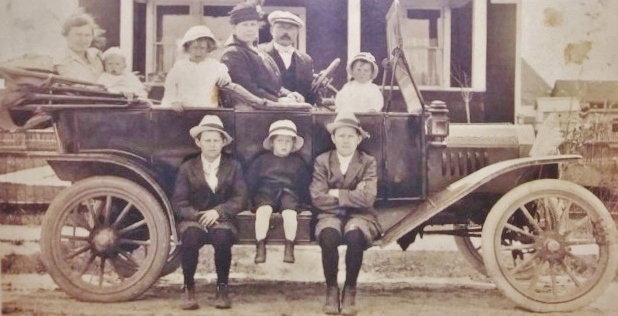 The '14 style touring body started showing up about July of 1913. Runabouts didn't change quite so early, but later in calendar 1913 for the '14 model year. The curious thing about this, is that '14 style bodies came with '13 style windshields for probably a couple months (July and August?). A lot of photos can be found showing that combination. I have seen a few original era photos showing '14 style windshields on '13 style cars, but not many. It is always possible that the windshield could have been replaced some time after the car was built. But likely there were a few late delivery early bodies that were used by the factory in this combination. Great photo, for many reasons. Thanks for the info on the car Wayne. 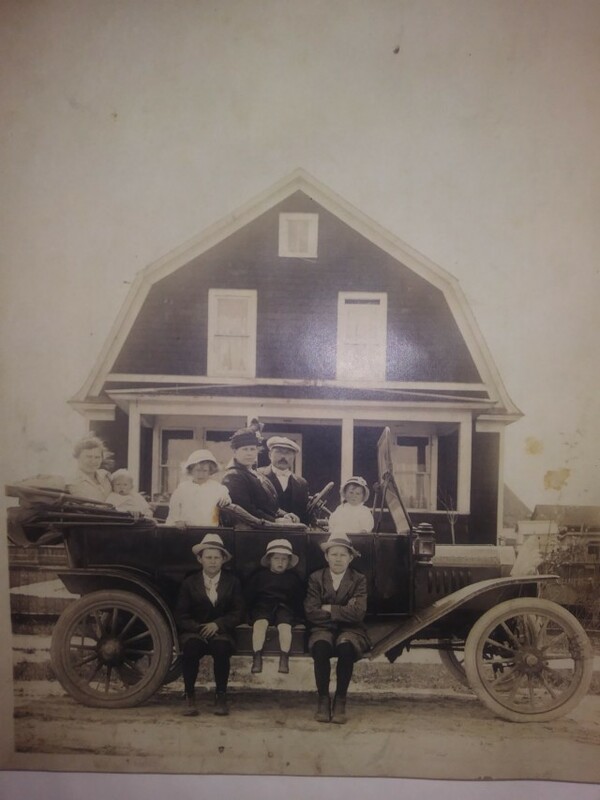 Being fairly new to the Model T I wasn't sure what year it was. I'm glad I snagged this photo at auction....it'll look great in my "man cave"....when I get one ! One more observation - the hood has louvers, per 1915-16. Look at how the rear door is up a ways, which is common for most '13 tourings.